Deliberating in a Democracy in the Americas (DDA) is designed to promote the teaching and learning of democratic principles and the skills of civic deliberation among a new generation in the United States and in Latin America. This major initiative is conducted by the Constitutional Rights Foundation Chicago (CRFC), Constitutional Rights Foundation in Los Angeles (CRF) and Street Law, Inc. with a grant from the U.S. Department of Education (#Q304A100003). The goal of Deliberating in a Democracy in the Americas is to increase the knowledge, ability, and dispositions of high school teachers and their students in the United States and Latin America to effectively participate in deliberations of controversial issues related to democratic principles in their countries. In 2011-2012, the program involved cohorts of high school teachers and their students from California, Colorado, Illinois, Maryland, Minnesota, North Carolina, and Virginia in the United States, and sites in Colombia, Ecuador, Mexico, and Peru. More than 9,300 high school students and 134 teachers participated. 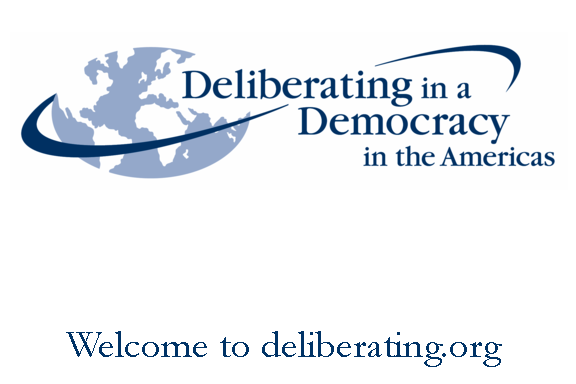 Deliberating in a Democracy in the Americas is an extension of the highly successful Deliberating in a Democracy initiative with teachers in the United States, Eastern Europe, Azerbaijan, and Russia. Between 2004 and 2012, these initiatives involved 560 teachers engaged nearly 41,000 secondary students in authentic civic deliberations while learning democratic principles and participating in lessons on democracy. Almost 100% of teachers indicated that they would continue to use deliberations after the conclusion of the project. All teachers will attend a 3-1/2day conference in July or August 2011 with partners from Latin America and the United States. This first session will train teachers to engage students with twelve controversial public issues questions and materials through the Structured Academic Controversy (SAC) methodology developed by Roger and David W. Johnson at the University of Minnesota. In July 2012, all project teachers will meet again to reflect on project success and continue improving their ability to prepare students for democratic citizenship. Participating teachers will conduct a minimum of three classroom deliberations (chosen from the list of twelve) using the SAC method. The three deliberations will take place in one semester. Teachers at each site will meet three times during the year to reflect on their work and plan for future deliberations in class or via technology. Materials for each deliberation question will include a short reading, enrichment supplements, audio files, and additional resources to meet differentiated instructional needs. All materials will be made available in both English and Spanish. 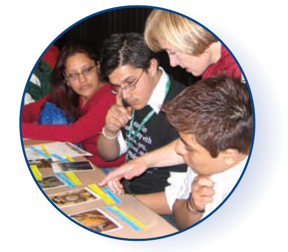 Lesson materials and resources, as well as project and partner information, can be found in English and Spanish at www.deliberating.org. Participating teachers can have their students participate in polls and communicate with other students in the project. Student representatives from participating classes may deliberate issues and talk with their partner country through a videoconference, webcam, and/or Skype. Students may also have the option to participate in a conference involving students from other schools at their site. The evaluation process includes students, teachers, administrators, and site coordinators from each of the participating sites. Both qualitative and quantitative data are collected. Founded in 1851, the University of Minnesota is a presence throughout the state with five campuses and numerous research and outreach centers. Internationally the University touches every continent, partnering with countries such as China and India to collaborate in the areas of research, education, and business. The University of Minnesota is charged with conducting an independent evaluation of Deliberating in a Democracy in the Americas. The evaluation process includes students, teachers, administrators, and site directors from participating sites listed below. Qualitative and quantitative data is being collected. Please click here for links to evaluation information on other Deliberating in a Democracy programs.